(NaturalNews) Unless the world acts immediately to stem the ongoing Ebola outbreak in West Africa, the epidemic could last for years to come, warned an official from the Centers for Disease Control and Prevention (CDC) at a September 16 Senate hearing. "If we do not act now to stop Ebola, we could be dealing with it for years to come," said Beth Bell, director of the CDC's National Center for Emerging and Zoonotic Infectious Diseases. "The best way to protect the U.S. is to stop the outbreak in West Africa." The hearing, held jointly by the Senate Health, Education, Labor and Pensions Committee and the Appropriations Subcommittee on Health Spending, was the first Congressional hearing on Ebola. Ebola is a viral disease transmitted by close contact with bodily fluids such as blood, vomit and diarrhea. The World Health Organization (WHO) estimates that more than 5,000 people have contracted Ebola since the outbreak began, and more than half of them have died. "This is not just a disease," said Dr. Kent Brantly, a U.S. physician who works for the missionary group Samaritan's Purse in West Africa -- and one of five people to survive following treatment with the experimental Ebola drug Zmapp. "These are people who need help. Societies are collapsing under the weight of this burden. We just need people to go help." "From the time I fell sick, just two months ago, the death toll has tripled," Dr. Brantly said. "In nine months down the road, we are looking at hundreds of thousands, not just in cases, but deaths." In her testimony, Bell likened Ebola to a fast-moving forest fire. Dr. Brantly stepped up the metaphor, proclaiming the disease "a fire straight from the pit of Hell. We cannot fool ourselves into thinking that the vast moat of the Atlantic Ocean will protect us from this fire." Daniel Lucey, a Georgetown University microbiologist and immunologist who treated Ebola patients in Sierra Leone for three weeks in August, warned that the United States and the world in general are unprepared to cope with the severity of the current outbreak. 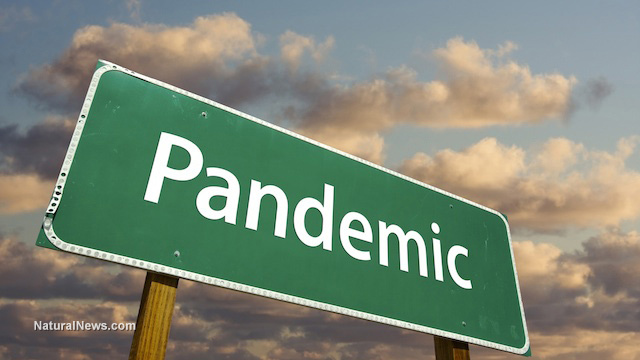 Prior outbreaks all took place in remote rural regions, which limited the disease's spread. "It's not just Ebola, like the last 25 outbreaks," Lucey said. "This is urban Ebola. It's unprecedented and it's uncontrolled." Local health systems have been completely overwhelmed by the epidemic, leading to dramatic shortages of space at treatment centers. Even when there is space, many treatment centers lack soap, running water or even beds for patients to sleep on. "There simply aren't going to be enough beds," said Ken Isaacs, vice president of programs and government relations at Samaritan's Purse. "We ran Ebola treatment centers for two months and we were totally overwhelmed. Isolating people in their homes and training the family members to protect themselves is the way we can influence disease transmission." The U.S. government has sent 3,000 troops and 100 CDC employees to Africa to assist in disease treatment and containment. In addition, more CDC employees have been working remotely from Atlanta. But the spread of the disease is only predicted to accelerate in the coming months. Some analysts have predicted that the number of cases will continue to double every three weeks -- which would mean 100,000 people infected in just over a year. "The spread of this disease deserves a more urgent response than its now getting," said Sen. Lamar Alexander, R-Tenn.
"Some people have asked why the military should be involved. They have to be involved if we want to deal with the problem. There's no way for the doctor and nurse and healthcare workers to deal with it."